With the recent California legislative session in Sacramento now concluded, it’s clear that the state of the local cannabis industry still remains very much in flux. Lawmakers debated hundreds of bills, and cannabis industry leaders were able to make their case and secure changes to the provisional licensing process and gain greater clarity regarding standard deductions cannabis businesses can take on state taxes. SB 1459: Establishes a provisional business license for cannabis businesses in the process of attaining full annual permits, enabling many temporary license holders to continue operations legally after December 31, 2018. SB 311: Allows licensed distributors to transport and sell cannabis products to other distributors—as opposed to strictly retail shops, microbusinesses and testing labs, providing more flexibility to the state’s cannabis supply chain. AB 1863: Permits licensed cannabis businesses to deduct standard business expenses under state personal income tax. AB 1741: Allows cannabis businesses to pay state taxes by means other than electronic-funds transfer. SB 1294: Requires state regulators—such as the Bureau of Cannabis Control (BCC)—to begin work on a state-run, social equity program for the marijuana industry. SB 829: Allows certain cannabis businesses to provide free marijuana products to medical patients that qualify based on income status, doctors’ recommendations and a state ID card. AB 2020: Expands the choice of venues where legal cannabis festivals can be held. This bill allows events to be held at any site as long as organizers have permission from local authorities. AB 3157: Aimed to temporarily reduce the state marijuana excise tax from 15 percent to 11 percent. SB 930: Aimed to establish a state-run banking system for cannabis companies. AB 2641: Aimed to allow growers and product manufacturers to obtain temporary event retail licenses so they could transport their goods directly to marijuana festivals, and market or sell them directly to consumers onsite. While there were certainly highs and lows for industry advocates following the session, the bigger conversation here is that lawmakers now have to take the legal cannabis industry seriously—and you can certainly believe they will. As we move past this “wild west” phase of California’s legal cannabis industry, the regulatory mechanisms that are currently being discussed and developed will soon be implemented and enforced. This means the slew of businesses that have operated out of compliance will be hit with costly fines and fees and likely be forced to shut down. Those that operate in compliance with the emerging and evolving laws will gain a considerable edge in ensuring the success and longevity of their business. By upholding to regulatory requirements and safety protocols, businesses can avoid many potentially critical pitfalls while ensuring the safety of the end user. But it requires that you stay diligent in the process. Stay posted for more developments as they emerge. I am active in the industry and work with a number of cannabis business professionals to ensure they are on the right track and have the necessary resources and information to succeed. Have questions or concerns about your cannabis business? Please contact me. 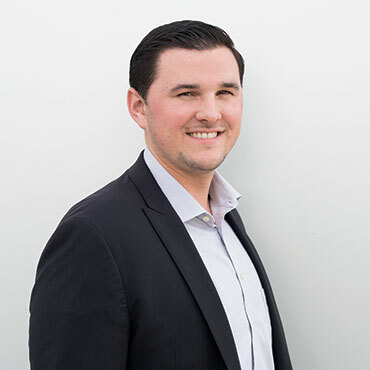 With close to a decade of industry experience, Corey has worked with a number of small and medium-sized businesses and is knowledgeable about property and casualty, life and health insurance. Corey specializes in working with elevator contractors, manufacturing, distributing, healthcare and construction. Additionally, he is focused on the unique needs and challenges facing cannabis related business, including dispensaries, cultivators, extractors, developers and much more.